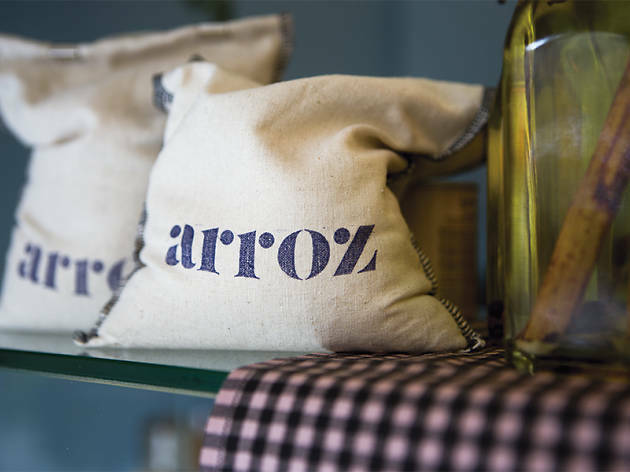 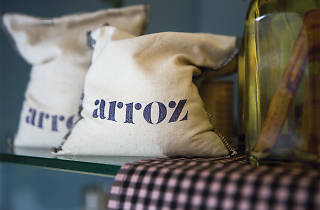 Arroz Hofmann is a matryoshka doll, a restaurant inside a restaurant, with a sit-down eatery upstairs, and, at street level, tapas, late breakfasts and afternoon snacks (with a terrace on the king-size pavements of Passeig de Sant Joan), from their famous croissants to slow-cooked eggs with potatoes and 'sobrassada' (Mallorcan sausage with paprika). 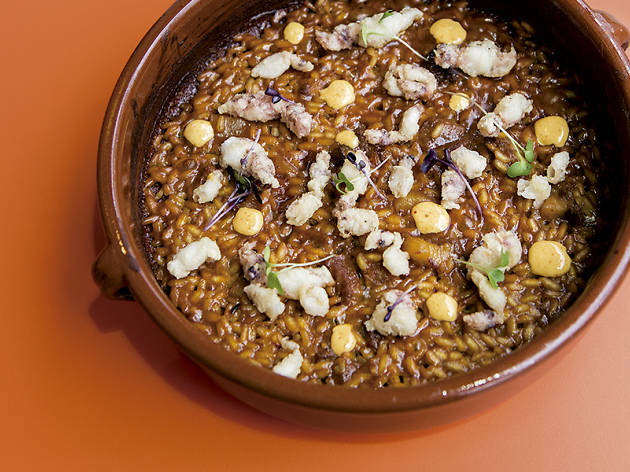 And as the name (which was changed in 2017) indicates, you'll find a complete repertoire of rice dishes ('arroz' being Spanish for 'rice') – a great passion of the late chef Mey Hofmann – baked, soupy, sticky, black, and with squid and garlic mayonnaise. 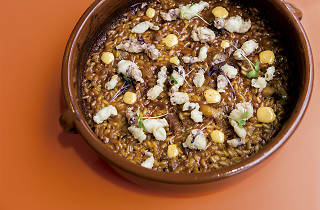 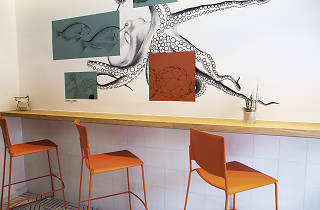 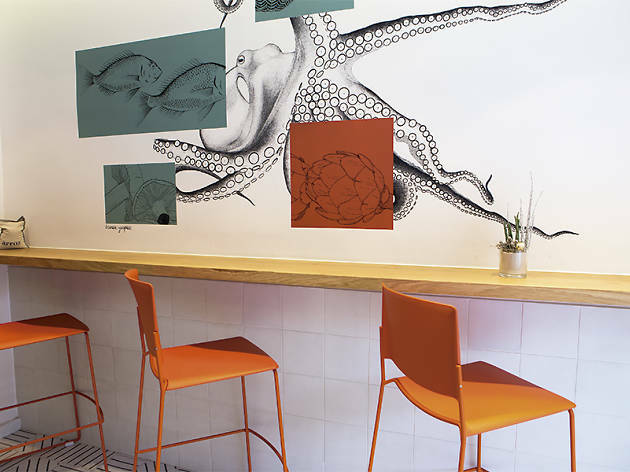 This spot used to be Granja Lido, owned by a former student of Hofmann's, Mireia Farràs, who, inspired by the cosiness of taverns, has opened a place with a popular menu that deserves a standing ovation: duck cannelloni with the barest sweet-and-sour hint of amaretto; rice with cuttlefish and langoustines (one for the roll of honour); salt cod with peas and pil-pil sauce (perfect), and capipota – calf head and foot stew – with chickpeas and a refreshing touch of spiciness.